Access physical activity grades, report cards and other related documents from all Global Matrix events in which Colombia has participated. Provision of high-quality Physical Education classes. Physical Education needs to be recognized as a fundamental area in the school curriculum, with the appropriate time allocation, safe and adequate facilities for its implementation and taught by a professional in the area. To integrate initiatives from multiple sectors to work together for the promotion of physical activity and to advocate for a reduction in sedentary behaviours. Several policies and promising strategies from Health, Education, Sports and Transport sectors are in place. However, these could have a better and more sustainable impact in the promotion of healthy lifestyles among children if efforts are put together with a multi-sectoral approach. To create supporting environments that allow to maintain and even increase active transportation, and leisure time physical activity in the community environment. It is important to provide the safety conditions and appropriate infrastructure to allow these behaviours to be sustained in time. Silvia González, M.P.H., Ph.D. candidateSilvia holds a Nutrition Degree from the Universidad Nacional de Colombia (Bogotá), and an M.P.H. from the School of Government and the School of Medicine at the Universidad de los Andes (Bogotá). Her current research interests include physical activity, nutrition and built environment among the populations of children and adults in Latin America. As a Research Associate of the Group of Epidemiology at the Department of Public Health at the School of Medicine at the Universidad de los Andes she was a co-investigator of the projects: Longitudinal evaluation of the spread of behaviors related with overweight and obesity in school aged children: A social network analysis, The evaluation of the effectiveness of Muévete Escolar for the promotion of physical activity among school-aged children, The evaluation of Ciclovías Recreativas programs as strategies for the prevention of non-communicable diseases and social inclusion through physical activity promotion, and Our Voice in the city: An approach to urban environments from the Citizen Science to build healthy cities. She was a research assistant of The International Study of Childhood Obesity, Lifestyle and the Environment (ISCOLE), and she was the main coordinator of the first and second Report Card on Physical Activity for Children and Youth in Colombia. Currently she is a co-investigator of the Physical Activity and Sedentary Behaviors component of the National Nutrition Survey for Colombia 2015. She is an executive committee member of the Active Healthy Kids Global Alliance. Silvia A. González1, 2, Camilo A. Triana1, Catalina Abaunza3, Laura Aldana1, Luis F. Arias-Gómez1, Jhael Bermúdez4, Diana Marina Camargo Lemos5, Juan Camilo Cuya1, Daniel D. Cohen6, Jorge Enrique Correa-Bautista7, Iván D. Escobar8, Karen Lorena Fajardo1, Johnattan García9, Rocio Gámez10, Julia Andrea Gómez1, Yaneth Herazo Beltrán11, Maria Jose Lizarazo1, Oscar Lozano12, Paola Andrea Martínez1, Mercedes Mora13, Diana C. Páez1, Robinson Ramírez-Vélez7, Maria Isabel Rodríguez14, Nubia Ruiz12, Gustavo Tovar15, Julieth Pilar Uriza3, Olga L. Sarmiento1. 1School of Medicine, Universidad de los Andes, Bogotá, Colombia; 2Healthy Active Living and Obesity Research Group, Children’s Hospital of Eastern Ontario Research Institute, Ottawa, Ontario, Canada; 3Ministry of Health and Social Protection of Colombia, Bogotá, Colombia; 4Colombian Family Welfare Institute, Bogotá, Colombia; 5School of Physical Therapy, Faculty of Health, Universidad Industrial de Santander, Bucaramanga, Colombia; 6 Faculty of Life Sciences, Universidad de Santander (UDES), and Fundación Oftalmológica de Santander, Bucaramanga, Colombia; 7Center of Studies in Physical Activity Measurements (CEMA Group), School of Medicine and Health Sciences, Universidad del Rosario, Bogotá, Colombia; 8Colombian Foundation of Obesity Funcobes, Bogotá, Colombia; 9Takemi Program in International Health, Harvard T.H. Chan School of Public Health, Boston, United States; 10Muévete Bogotá Program, Sports Area, District Institute of Recreation and Sports, Bogotá Government, Bogotá, Colombia; 11Physiotherapy Program, School of Health Sciences, Universidad Simón Bolívar, Barranquilla, Colombia; 12Physical Activity Group Division, Coldeportes, Bogotá, Colombia; 13Nutrition and Biochemistry Department, Faculty of Sciences, Universidad Javeriana, Bogotá, Colombia; 14Division of Students Welfare, Education Secretary, Bogotá Government, Bogotá, Colombia; 15School of Medicine and Health Sciences, Universidad del Rosario, Bogotá, Colombia. Physical activity (PA) promotion across the lifespan is a key strategy for the prevention of non-communicable diseases in the public health agenda in Colombia. 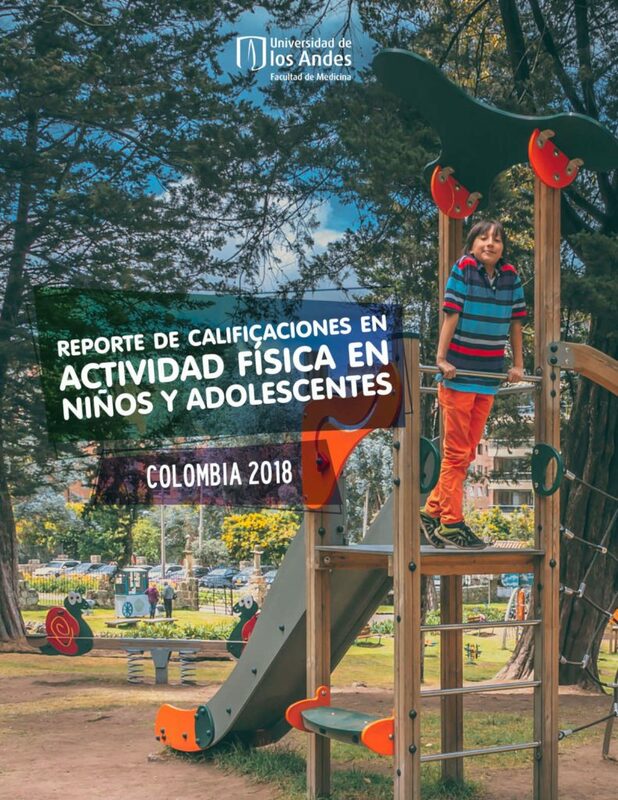 The purpose of this article is to summarize the methodology and results of the Colombian 2018 Report Card on Physical Activity for Children and Youth. The 2018 Report Card was informed by the best and most recent evidence available from national surveys, peer-reviewed literature, policy documents and government reports, covering the period between 2010 to 2018. The evidence was summarized in 12 indicators grouped in three categories: Daily behaviors, settings and sources of influence and health outcomes. A research team and a group of national experts from multiple sectors developed the Report Card. Grades were based on common benchmarks and a standardized grading rubric defined by the Active Healthy Kids Global Alliance. Only a third of Colombian children are achieving the recommended levels of PA, while 61% spend excessive time in screens. Active transportation is a highly prevalent behavior and important actions are being taken at the community level to promote PA. The policy framework related to PA promotion is broad, but there is a lack of evaluation to document its impact. Active play in children over 5 years and influence of family and peers are main research gaps. 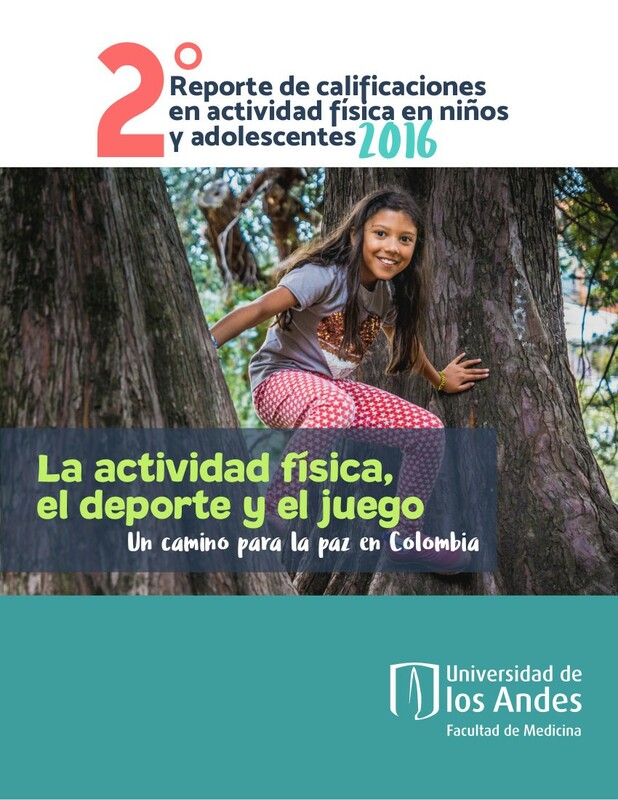 Only a third of the children and youth population in Colombia are enjoying the physical, social and cognitive benefits of being active. Higher involvement of the education sector, and the implementation of sustainable programs and policies, are required to contribute to spreading the benefits of PA across all Colombian children and youth. Physical activity programs in public spaces, like Ciclovías, Recreovías and the National Program of Healthy habits and Lifestyles that promote physical activity among people from all ages and all socioeconomic levels. 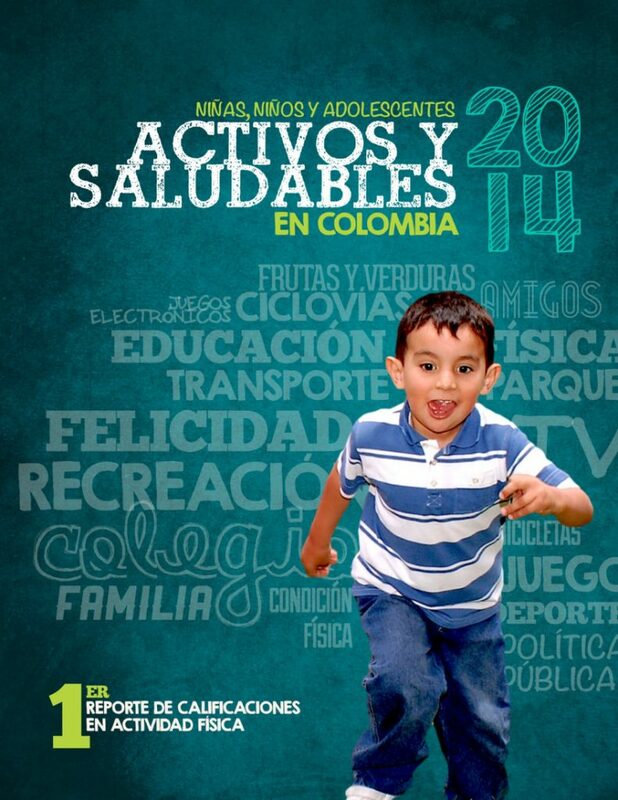 In the capital city, Bogotá, strategies that have evidence on the increase of PA levels among children include: (a) The extension of the school day (from 5 hours to 8) in public schools to involve children in arts, sports and PA practice in the additional time; and, (b) Recess-time interventions in the school setting. Policies on school transport that promote active transport or multi-modal commuting among children who live within 2km from the school (In Bogotá). 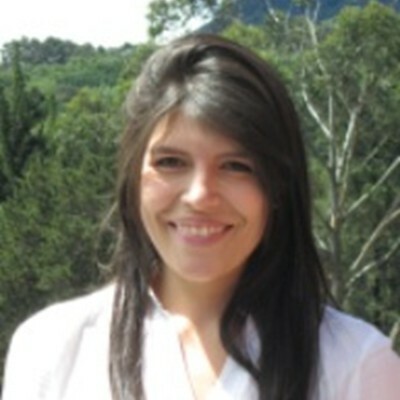 Silvia González, M.P.H.Silvia González is a Research Associate of the Group of Epidemiology at the Department of Public Health at the School of Medicine at the Universidad de los Andes (Bogotá, Colombia). She holds a Nutrition Degree from the Universidad Nacional de Colombia (Bogotá), and an M.P.H. from the School of Government and the School of Medicine at the Universidad de los Andes (Bogotá). 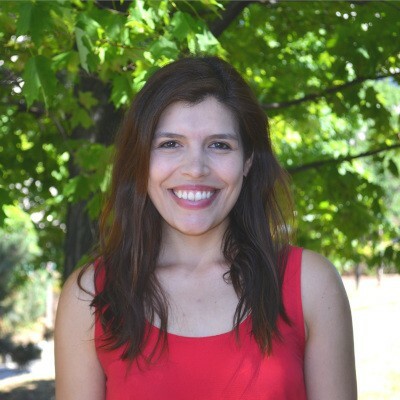 Her current research interests include physical activity, nutrition and built environment among the populations of children and adults in Latin America. She is currently a co-investigator of the projects: Longitudinal evaluation of the spread of behaviors related with overweight and obesity in school aged children: A social network analysis, The evaluation of the effectiveness of Muévete Escolar for the promotion of physical activity among school-aged children, The Evaluation of Ciclovías Recreativas programs as strategies for the prevention of non-communicable diseases and social inclusion through physical activity promotion, and the evaluation of the effectiveness of the Recreovia Program for the promotion of physical activity in community settings. She was a research assistant of The International Study of Childhood Obesity, Lifestyle and the Environment (ISCOLE), and she was the main coordinator of the first Report Card on Physical Activity for Children and Youth in Colombia. Currently she is a co-investigator of the Physical Activity and Sedentary Behaviors component of the National Nutrition Survey for Colombia 2015. She is an executive committee member of the Active Healthy Kids Global Alliance. "Participation in the Global Matrix 2.0 has been a unique opportunity for the group in Colombia to contribute to the surveillance agenda in the country. Based on the nine common indicators included in the Global Matrix, new indicators on physical activity for the National Survey of Nutrition in Colombia have been proposed and are being collected at the national level for the upcoming version of the survey. We also consider that the comparisons with other countries, and for the first time with other countries from the South American region, provide a great opportunity to learn from the successful efforts of other nations to promote active and healthy lifestyles among children and youth." - Silvia González, M.P.H. González SA, Castiblanco MA, Arias-Gómez, LF, Martinez-Ospina A, Cohen DD, Holguin GA, Almanza A, Camargo-Lemos DM, Correa-Bautista JE, Escobar ID, García J, Gámez R, Garzon M, Herazo-Beltrán Y, Hurtado H, Lozano O, Páez DC, Ramírez-Vélez R, Ruiz N, Tovar G, Sarmiento OL. Background: Physical activity (PA) is vital to the holistic development of young people. Regular participation in PA is associated with substantial benefits for health, cognitive function, and social inclusion. Recognizing the potential of PA in the context of the current process of peace in Colombia, the purpose of this article is to present the methodology and results of Colombia’s second Report Card on PA for children and youth. Methods: Twelve indicators of PA were graded by a group of experts on PA based on data from national surveys and policy documents. The grades were defined according to benchmarks for desirable conditions. Results: National and departmental policy indicators were graded “B,” while organized sport participation, overweight, obesity, community influence and non-government initiatives indicators were graded “C.” Overall PA levels, active transportation, sedentary behaviours and school influence were graded “D”. Active play, low physical fitness and family influence received an “INC” grade. Conclusion: PA levels are low and sedentary behaviours are high in Colombian children and youth, with notable geographic differences. A broad policy framework translated into specific actions could provide unique opportunities to bridge the gap between knowledge and practice, and contribute to social integration goals in a post-conflict setting.